Becoming Salmon is the first ethnographic account of salmon aquaculture, the most recent turn in the human history of animal domestication. 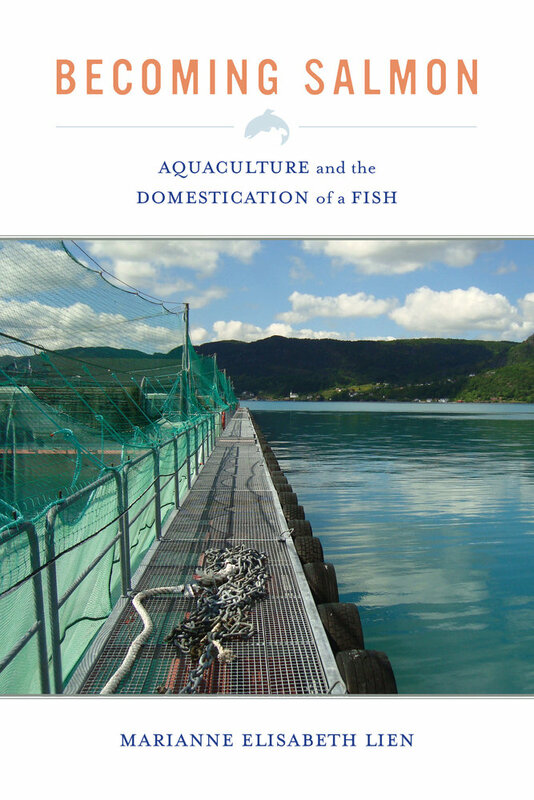 In this careful and nuanced study, Marianne Elisabeth Lien explores how the growth of marine domestication has blurred traditional distinctions between fish and animals, recasting farmed fish as sentient beings, capable of feeling pain and subject to animal-welfare legislation. Drawing on fieldwork on and off salmon farms, Lien follows farmed Atlantic salmon through contemporary industrial husbandry, exposing how salmon are bred to be hungry, globally mobile, and “alien” in their watersheds of origin. 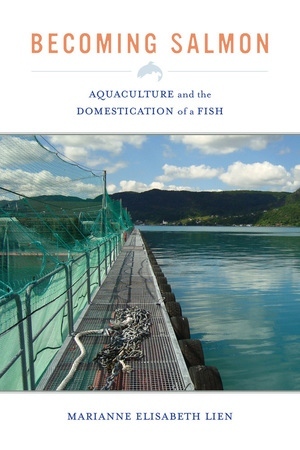 Attentive to both the economic context of industrial food production and the materiality of human-animal relations, this book highlights the fragile and contingent relational practices that constitute salmon aquaculture and the multiple ways of “becoming salmon” that emerge as a result. Marianne Elisabeth Lien is Professor of Social Anthropology at the University of Oslo, Norway.